It was 1978, Bill Clinton was making his first run for Governor, Dallas and Robin Williams both made their TV debuts, disco was dominating the music scene, and Little Rock received its first major piece of public art. The original model was created in 1961; this sculpture was cast in 1976 and purchased in June 1978 by the Little Rock Metrocentre Improvement District. A committee consisting of Townsend Wolfe (then the director and chief curator of the Arkansas Arts Center), James Dyke and Dr. Virginia Rembert traveled to England to meet with Moore about the sculpture. It was originally placed on Main Street when the street had been bricked over as part of the Metrocentre Mall pedestrian mall plan. As portions of the street became unbricked and reopened to vehicular traffic, it was moved to the intersection of Capitol and Main. Finally, when the last segment was reopened to vehicular traffic, it was put at its current location of the southeast corner of Capitol and Louisiana. Because it was purchased by the Improvement District, it must stay within the boundaries of the district. There is currently discussion about the Metrocentre Improvement District disbanding and the sculpture being relocated elsewhere in the City. A replica of the sculpture is featured in the 1980s classic The Breakfast Club. With students returning to school, this week the Culture Vulture will feature seven favorite films about the high school experience. 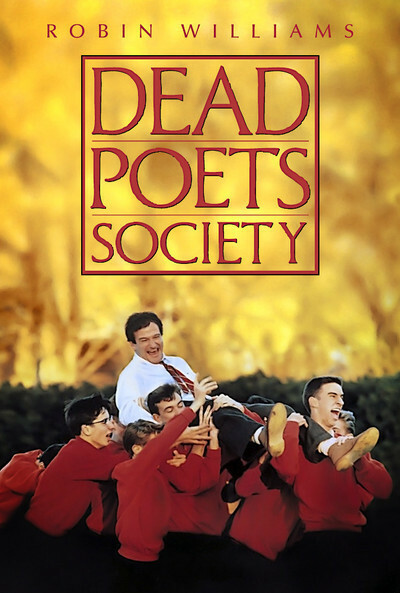 Up first is 1989’s Dead Poets Society. While it can be a bit melodramatic, Peter Weir’s movie (from Tom Schulman’s script) captures not only the generational split between students and their teachers & parents, but also the seismic shifts that were happening in the US in the late 1950s. The movie takes place just prior to the JFK-Nixon election time. It sets the stage for the dichotomy of feelings those candidates represented. When it first came out, it had a tremendous influence on me. I appreciated the references to history and literature, the Ralph Lauren designed clothing, the tremendous use of plaid in set decoration and the breathtaking scenery. The actors playing the students were my age, though playing slightly younger (I was in college, they were playing prep school seniors). Though I confess, I was not much of a Walt Whitman fan, and still am not. Robin Williams is stellar as a combination Mr. Chips and Pied Piper who bucks the system at Welton Academy. Though the part was not written for him, he made it his own. It showcased not only his comic talents but also his ability to show pathos. Even when he is hamming it up for his students, Williams shows a bit of restraint – he keeps his character grounded in 1959. The actors playing the students had great chemistry – they functioned as a complete unit. They have gone on to varied levels of success. Robert Sean Leonard has won a Tony and alternated between stage and TV with a few films. Ethan Hawke was, for a while, a leading actor of his generation and has received Oscar nominations for acting and writing. Josh Charles has worked fairly steadily, especially on TV in shows like “SportsNight” and “The Good Wife.” James Waterston has also kept busy in various acting roles. Gale Hansen, who was so magnetic in this film, has disappeared from acting. Allelon Ruggiero and Dylan Kussman, too, have had only a few credits. This being a movie that came out in the summer, I was was pleased when it received four Oscar nominations: Best Picture, Actor (Williams), Director (Weir) and Original Screenplay (Schulman). On Oscar night, Schulman walked home with the trophy. The ending of the film gives me goosebumps each time – even though I know it is coming. There are so many other moments I enjoy – the kicking of the ball while reciting inspirational quotes accompanied by Beethoven is certainly another. And I can still recite Puck’s final speech in A Midsummer Night’s Dream because I learned it from this movie. I was fortunate to have teachers to inspire me at all levels of schooling. Though none asked me to stand on desks, I was challenged, cajoled and even on a few times chastised. And I am the better for it.